That’s true. There’s a scenes that I wouldn’t remember if it weren’t for photos. I agree CG 🙂 I think photos really impress upon your mind the scene that you snap at the time and that makes you remember each time you see the photo what you were doing right at that moment. 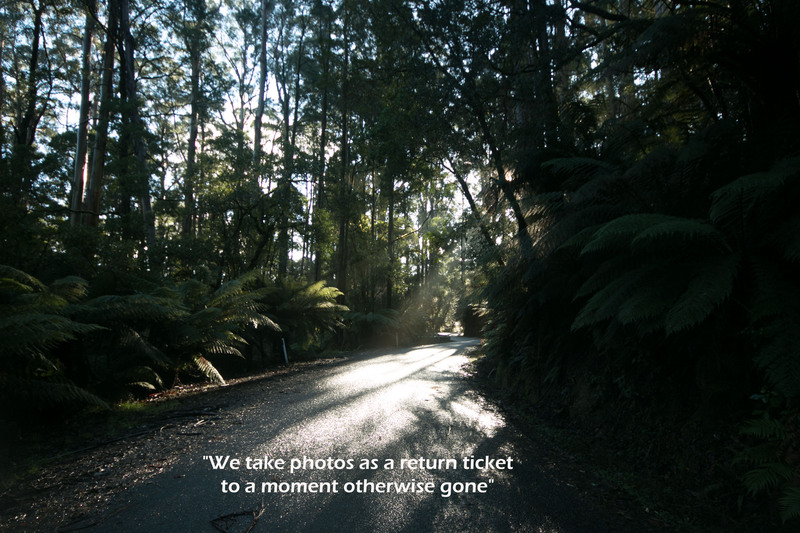 No photo and nothing to keep reminding you of that time…. Heh… A goodly number of my blog posts reflect this quote perfectly. A wise insight, indeed. I have many return tickets. And the quote is true. If I have home sickness to NZ or any other place I go through my archives and I am back to these beautiful places. Thanks for sharing, Kaz! Wonderful light and great quote. What a wonderful thought! I feel that same thing, about posting those moments in my blog where I can look back and feel that I did live my life :). Until now, I couldn’t put words to that feeling but your quote made it so clear that I can make just about anyone understand it! thanks Kaz- still not feeling great but better than the first few days!